References: A museum quality piece. 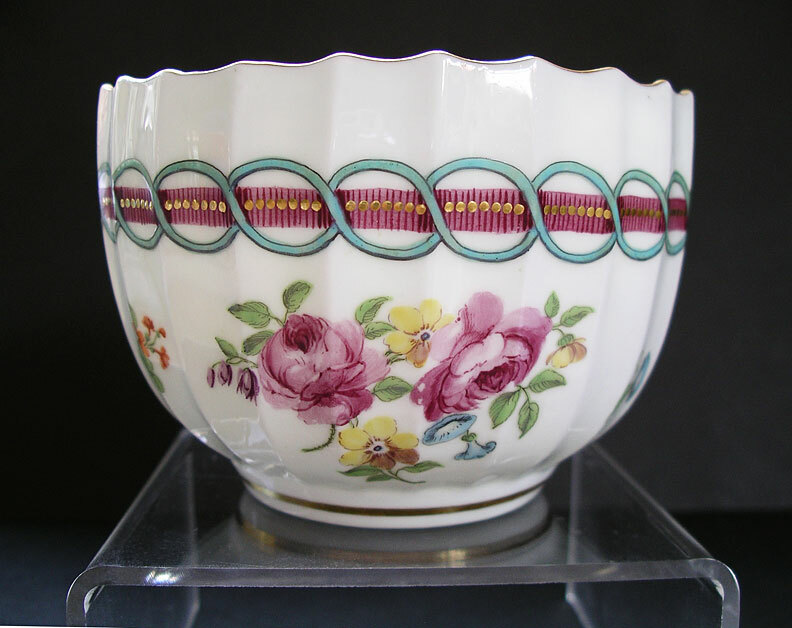 Similar examples can be found in the Victoria and Albert museum collection and further illustrated in F. Brayshaw Gilhespy Derby Porcelain (1961). Marks: gold anchor mark as illustrated. Dimensions: height 75 mm max. width 108 mm max. Condition: An excellent piece in great shape for display. There are no chips, cracks, hairlines or staining. No restoration. 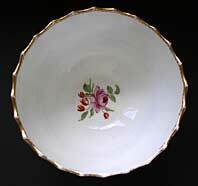 Typical rubbing wear to gilding to top and inside edge of bowl as usually found on the Chelsea-Derby porcelain body. 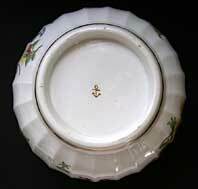 Tiny specs of enamel wear to hand painted decoration. Beautiful example of a rare piece of quality.